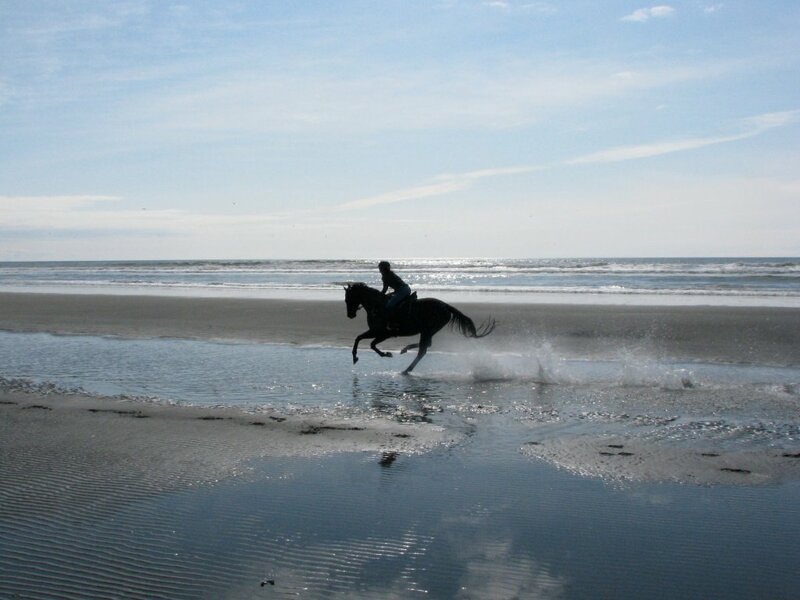 If you’re lucky enough to live near a coastline, then riding your horse on the beach is a must-try activity. One of the most freeing feelings in the world is galloping along the shore with sand and surf kicking up at your horse’s heels. Before you head to the beach, learn the local regulations for riding horses at the beach and check the tides. Not all beaches allow horses and not all beaches allow horses to ride in the surf. Bring drinking water for you and your horse. There may or may not be access to fresh water depending on which beach you visit and where you park. Horses should NOT drink salt water. Ride with your cell phone in a secure location. Be sure you have an “In Case of Emergency” contact saved in your phone. Set the phone to silent or vibrate if you’re on a green horse. 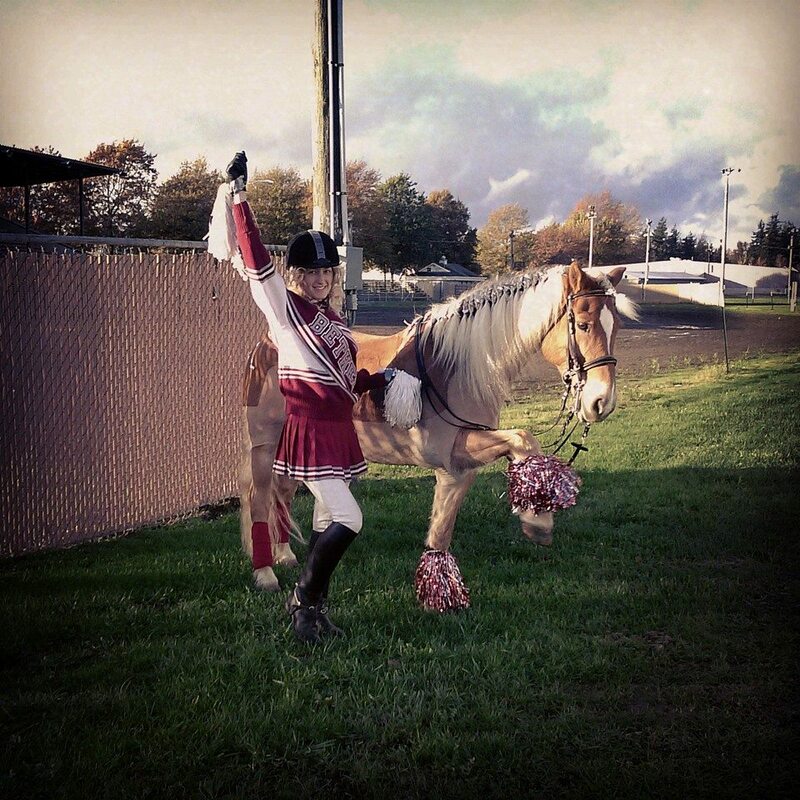 Bring comfortable riding gear for horse and rider. Don’t use equipment that will chafe. Avoid horse boots that will hold sand and water, and check all fasteners so you don’t lose any tack in the surf. Always ride with a friend. 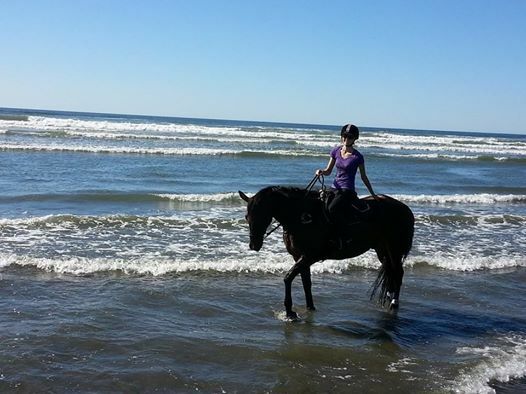 This is especially important if you take a horse who has never ridden at the beach before. 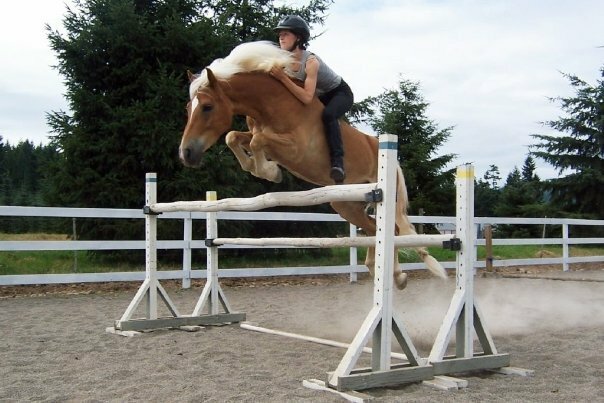 They will feel more confident if there’s a calm horse setting a good example. Tell others which beach you are going to and when you expect to be home. Be careful where you park your rig. If you park on the shore, make sure it’s not too close to the water line and that you have firm enough footing to drive on. Lock your vehicle and horse trailer when you go, and check your hitch before you leave to make sure no one has tampered with it while you were riding. Verbally warn people or dogs who try to approach your horse in an unsafe manner. Not everyone knows how to act around horses, so be prepared to give others verbal instructions or warnings as necessary. Ride on the best footing. Avoid riding faster than a walk in the deep, soft sand. If your horse’s entire hoof sinks into the sand, then it’s too deep for galloping. Wait to ride in the surf. Don’t try to ride your horse into the surf until you’ve already ridden down the beach for a ways and your horse has settled. You may choose to lead your horse into the surf for the first time or follow another horse in. Try to wipe off as much sand as possible from your horse before trailering home. Give your horse electrolytes and plenty of water before the ride. You’ll probably want to ride for a long time at the beach and your horse may sweat more than normal if they are nervous. 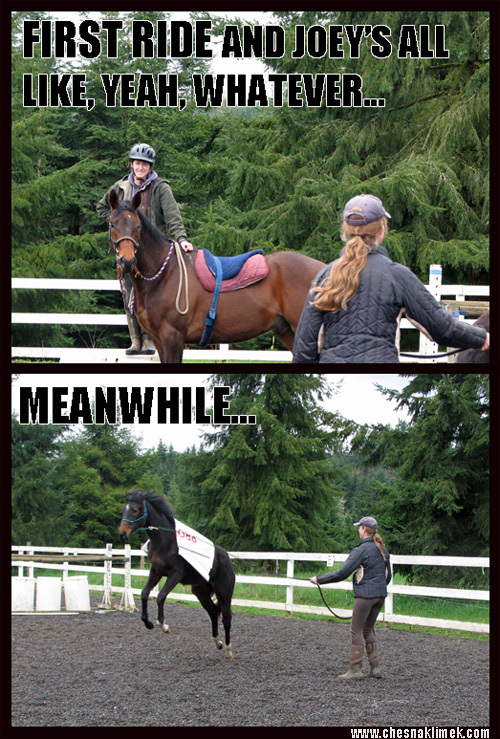 Pay attention to your horse’s body language! 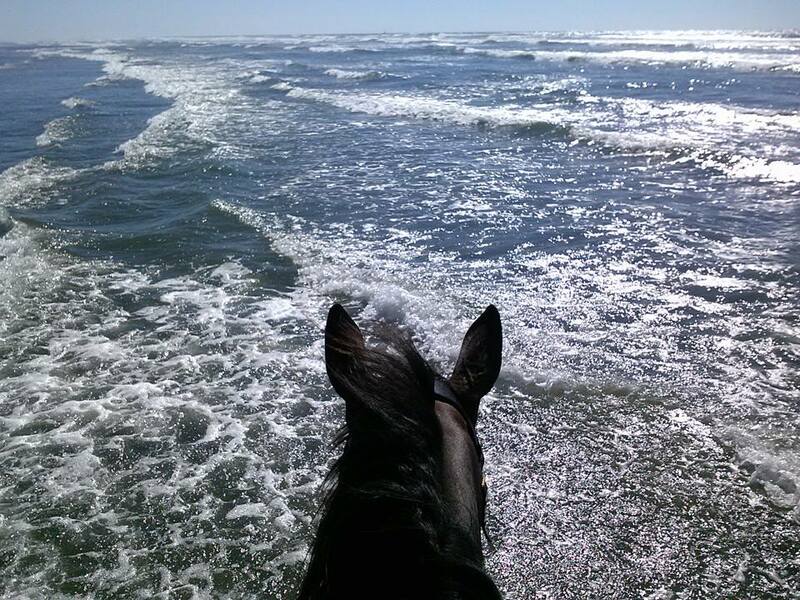 Your horse will see things at the beach they won’t see anywhere else, like dead sea animals, kites, or ocean waves. Some horses may get dizzy when they go into the surf–they may even lose their balance and fall. Make sure you keep a close eye on your horse’s reactions so you can avoid issues. Enjoy your beach ride; I know I would!